287 Quail Ct McGaheysville, VA. | MLS# 578859 | Williams & Associates Real Estate | (540) 442-0359 | Serving the Shenandoah Valley, City of Harrisonburg, Rockingham County, Staunton and Augusta, Charlottesville and Albemarle, Luray and Page Co, Mt Jackson, Woodstock and Shenandoah County. 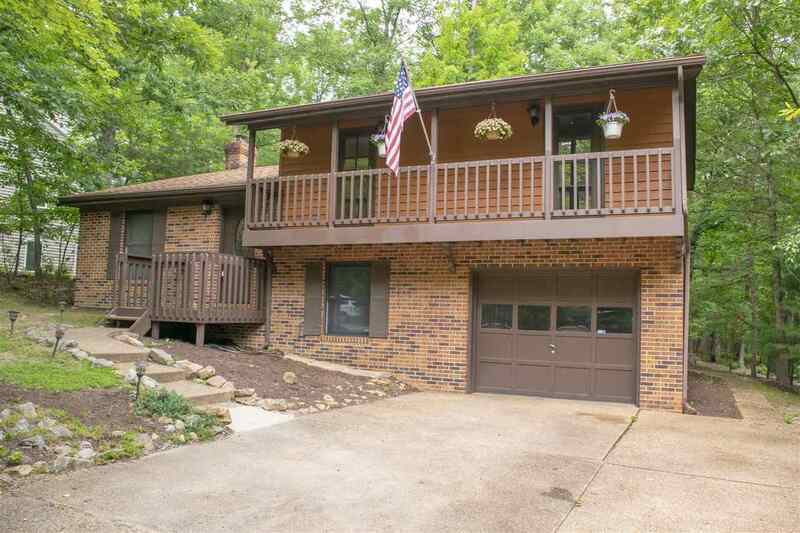 PRICE REDUCTION-MOTIVATED SELLER - Updated Massanutten home on level lot on a cul-de-sac. Enjoy your morning coffee or evening cocktail on the spacious rear deck that overlooks a partly wooded yard that backs up to green space. This home has many updates, including HVAC, roof, carpet, doors, bathrooms, and kitchen with quartz counter tops and stainless steel appliances. Main floor features a master suite, two additional bedrooms and another full bathroom. In the basement, snuggle up to the wood stove in the family room with access to an office/possible 4th bedroom and another full bathroom, as well as abundant storage and laundry room. Enjoy all the amenities Massanutten Resort has to offer (golf, skiing, swimming, hiking, and more).